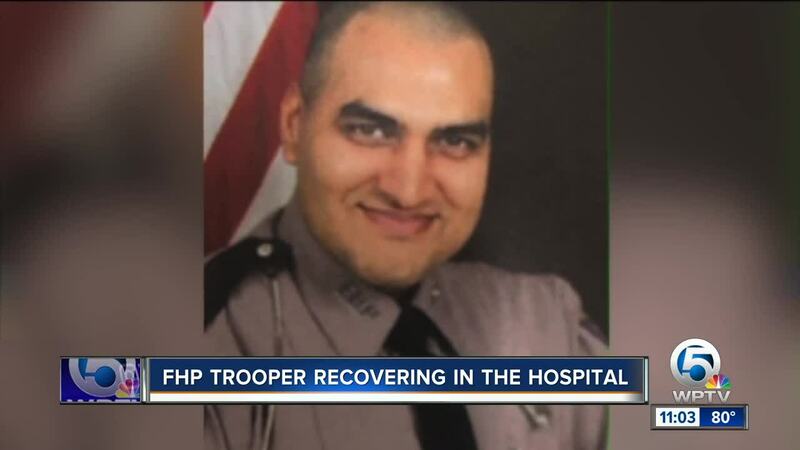 FHP trooper hit by a car should be released from a hospital Tuesday. 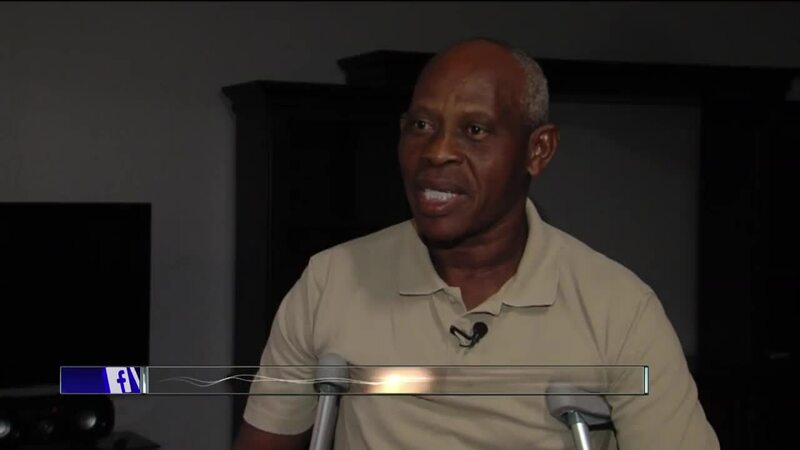 For Rony Bottex, 65, fracturing his leg and using crutches is nothing compared to what could have happened on I-95 in Hobe Sound Monday morning. "If he wasn't there, if the officer wasn't there, I'd be dead," said Bottex. Rony was involved in an accident on I-95. Florida Highway Patrol Trooper Mithil Patel, 31, was the first to respond and while he's talking to Rony outside of the car, a van slammed into a car, sending it spinning in their direction. "He saw the car come right to me and pushed me to the side and thank God I fall, but he's the one who got hurt for me," said Bottex. "He take the hit and pushed me out of the way." Trooper Patel was taken to St. Mary's Medical Center where he is now in good condition. Rony says he has not stopped praying for the brave trooper who he says nearly gave his own life to save Rony. "They do the jobs for you, not for them, and he was going to take the hit for me, he did," he said. Rony says thanks to Trooper Patel, he's still alive for his wife and six children. He now wants this stranger who saved him to be a part of his family too. "What I want to tell his family, I want to be with him as a family because people like this you never forget them," added Bottex. The trooper's father said the family has been overwhelmed with calls and support. Rony says he hopes he can get in touch with the trooper and his family.